10 1/2" length provides greater immobilization. "Barb" style closure strap for easier fitting. 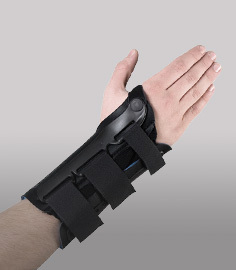 The MedSpec V-Strap Wrist 10 1/2" provides comfort and effective support in a longer length brace. 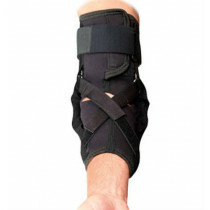 The brace features Velstretch material over a polypropylene felt base which provides softness on the inside and a contoured fit and better compression over the carpal region It includes two stays: a dorsal stay on the top and a volar stay on the bottom, both which are stitched into the material. Two closure straps are are applied to secure the brace around your wrist. Too avoid having the straps back out of the D rings as you're removing the brace, barbed tips have been added to the ends of the straps. Fitting is a snap and you will not have straps sticking to each other during the fitting process - a great idea! The MedSpec V-Strap 10 1/2" is suitable for all types of wrist injuries, for average height people looking for a longer brace for additional wrist immobilization or for anyone 6'3" and taller. The same benefits as the 8" V-Strap Wrist, but the 10 1/2" version with longer length provides additional support. Polypropylene felt material is bacterially inert and stays clean longer. Polypropylene felt is bacterial inert and stays clean longer. Has a palmar and dorsal stay. Two wrist closure straps for a solid fit. Available in four sizes - please see sizing chart tab for measurement guidelines. NOTE: The 8" version of this brace is available in Pediatric, XS and 2XL Sizes. See listing for MedSpec V-Strap Wrist - 8". Velstretch material is perforated and has an inherent stretch capability for a great fit. Polypropylene liner in bacterial inert and has a soft feel. I have a Scapho-luminate dislocation with torn ligaments in the left wrist. It cannot be repaired without loss of use. So I depend on this brace to help re-position and stabilize the injury when it gets out of place, and reduce the pain when the bone hits the nerve. This brace does the job! I was able to customize the fit by bending the aluminum stays. The first one lasted over 10 years. I expect the same from this one. I have both arthritis and carpal tunnel in both wrists. I've worn various brands of wrist braces for more than 20 years and find Med Spec products are just far superior in design and support. They constantly improve their products. I have both the 8" and 10.5 in V straps. I'm using the 10.5 to both splint and immobilize my recently fractured right wrist. 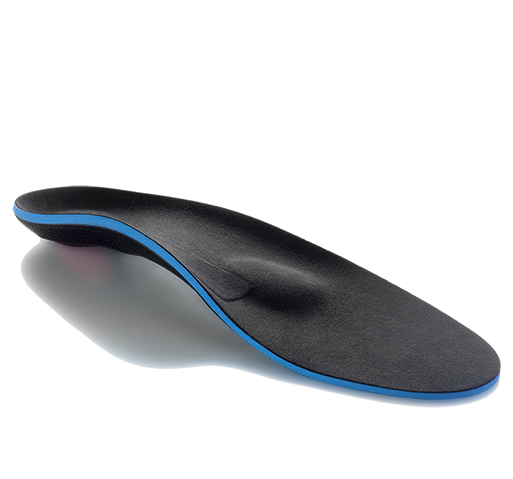 Its very adjustable, stable and comfortable for all day or night wrist support.  This was my first order with DME-Direct and I'm very impressed with the ease of ordering, quick shipping and follow through after the purchase. Q&A for MedSpec V-Strap Wrist - 10 1/2"